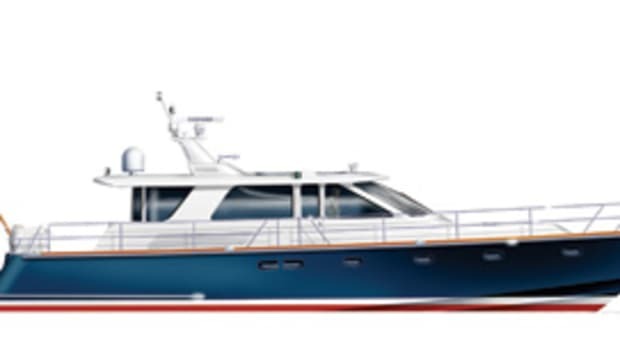 In typically British understated fashion, Tarquin Boat Company offers its largest model yet: a 70-foot, twin-deck motoryacht that delivers first-rate engineering and systems, voluminous interior spaces, and top-shelf components. Her design places a premium on comfort while offering safety, efficiency, and a good turn of speed. What’s more, she’s easy on the eyes, exuding an aura of classical elegance complemented by clean, modern detailing. Aft on the lower deck, the master stateroom sets the tone for the whole yacht. 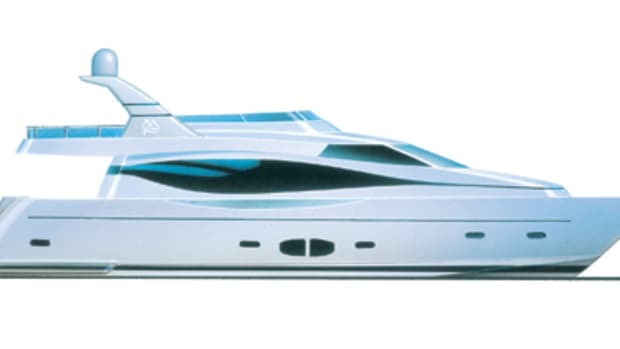 It’s full-beam, extends more than a quarter of the hull’s 71-foot length, and is a secluded hideaway with a private stairway to the saloon. It has a big bay window built into the transom that offers striking views over the stern, and the king-size bed is flanked by his and her dressers, settees, and hanging lockers. The stairwell and a head buffer the stateroom from the machinery space. 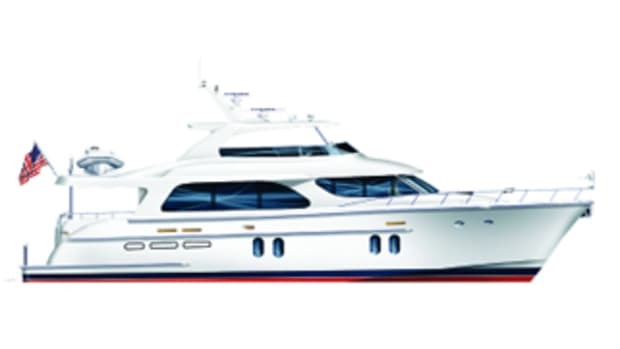 Forward on the lower deck are three guest staterooms, each with en suite facilities located to maximize privacy between the port and starboard guest staterooms and a VIP suite in the bow. 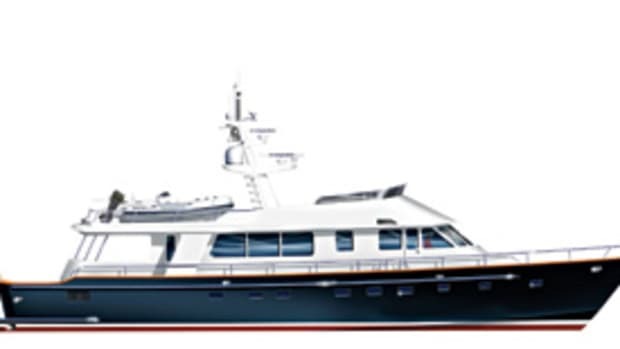 The main deck offers a wide variety of seating and entertaining spaces, including an alfresco area on the aft deck, a spacious, open saloon, a dining room, an amidships galley, and a generous settee in the pilothouse. 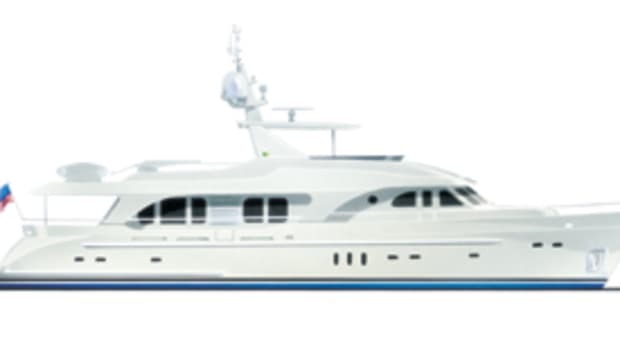 And every detail is executed to enhance comfort aboard, making use of double bulkheads, floating floors, and sound-deadening materials. To further reduce vibration, the running gear includes custom five-blade propellers and a Poseidon thrust-plate/flexible coupling system that allows the engines to be soft-mounted. 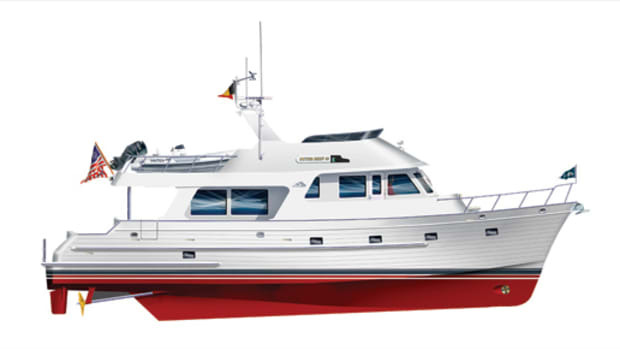 As for equipment, her specs read like the who’s-who of high-end components: twin Stidd helm seats, Wesmar stabilizers and hydraulic bow and stern thrusters, Headhunter freshwater and waste systems, Marine Air chilled-water air conditioning and heating, Sub-Zero fridge/freezer, Grohe faucets, and so on. 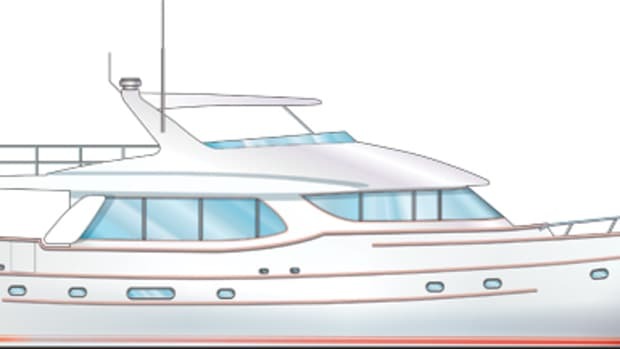 And to manage it all, there’s Trader’s Info-Bridge onboard-monitoring and control system keeping an eye on engines, tank levels, power supplies, and alarms throughout the yacht. 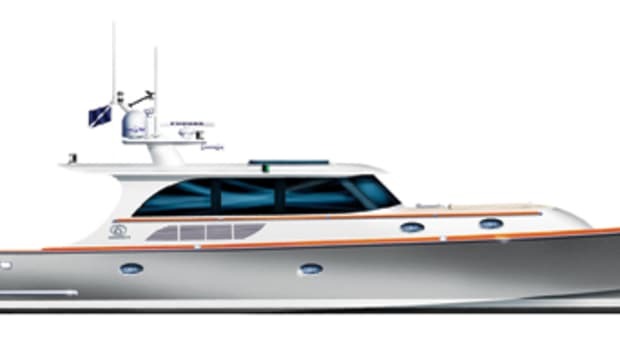 Her semidisplacement hull offers a deep skeg keel for course tracking and propeller protection. 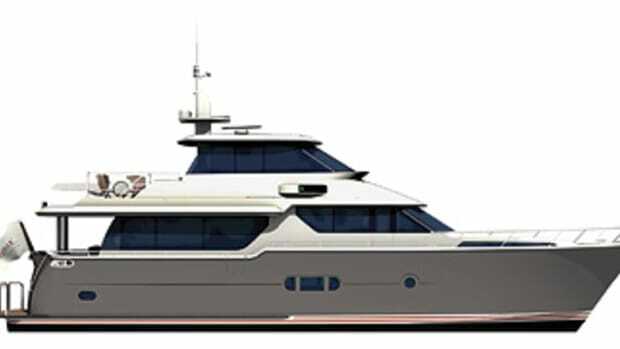 She should deliver a good mix of speed and efficiency; at 10 knots, her expected range is more than 1,300 miles, but with optional 1,000-hp Cat C18 engines, she should deliver speeds in the 20-knot range.